← Crimson In The VERY Wrong Fairy Tale SNEAK PEAK! 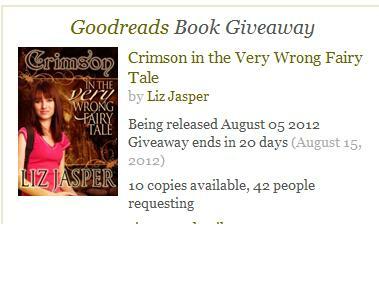 This entry was posted in Book news and tagged crimson in the very wrong fairy tale giveaway, dark princess, funny YA paranormal, goodreads book giveaway, liz jasper. Bookmark the permalink.